Should I Get a Follicular Unit Extraction – FUE or Punch – Hair Transplant? Question: I want to address my male pattern balding, and I have visited a hair transplant surgeon. He said he would use Follicular Unit Extraction, or FUE, to get “donor” hair off the back of my head. Then, he’ll transplant that hair into the balding areas on top. Is FUE the way to go? I have heard of the “strip” method but I’m not sure which is best. Dr. Shapiro, Hair Transplant Doctor Answers: Follicular Unit Extraction (FUE) has some built-in problems, however, I am developing ways to mitigate these problems. What is FUE? (Follicular Unit Extraction) The individual follicular units are taken directly from the donor area. The hair transplant doctor creates small circular incisions in the skin near the upper part of the follicular unit using a 1-mm punch. These units are then directly removed from the patients scalp. The FUE method uses a punch to extract the hair follicles. The edges of the punch can damage surrounding tissue, which can cause causing>Should I Get a Follicular Unit Extraction – FUE or Punch – Hair Transplant?” /> scaring. Additionally, if the punch damages surrounding tissue, there will be fewer hair follicles to use if an additional hair transplant (“sitting”) is needed in the future. This approach is very faddish and is being done by doctors who are not dermatologists and have very little training. Often they do not know how to do an advanced dermatological closure and they can only do a small amount of grafts. The reason why many doctors use this technique is because requires only a small staff and it’s an easy way to become a hair doctor with very little training. Also, there is a big charge involved to do the FUE method. It requires more anesthesia and it takes longer to do less grafts. Usually, there will be more swelling and since you can only do 1000-2000 grafts per sitting, you will need more sittings at a greater cost. Ultimately, it will take longer to achieve the desired results since you cannot do that many grafts in a sitting. Minimizing problems with FUEs requires good equipment and a very skilled hair transplant surgeon. I take a cautious and combined approach to FUEs in my practice. Firstly, I filter out the people who do not need FUEs. Most of my patients do well with the strip method, which I use primarily and have used for many years. The strip method is superior involves numbing the scalp using local anesthetic, removing a strip of scalp (usually from the back of the head) and suturing the scalp carefully to minimize scars. My large staff and I quickly separate and grade the hair follicles from this strip using viewing scoped. Then I begin to insert the hair follicles into the balding areas of the scalp. The results speak for themselves in the photos on my website. Some of my patients, however have limited donor tissue. Some have poor scalp elasticity. And some patients do not want to have a linear incision. For these patients, I use my new combination FUE/Strip/AFR™ method. To extract the hair follicles, I use the ERTIP motorized FUE system. It is a state-of-the-art sharp point extraction system that allows me to make precise incisions. It helps me minimize crossway cuts (transections). In this way, I minimize damage to surrounding hair follicles. I also use Syris Scientific v300 magnifiers (“loops”) for precision. Additionally, I may make a small strip incision to remove a large number of hair follicles at once. This incision is carefully sewn to minimize scaring. In the early 90’s (prior to any other hair transplant doctor), I noticed that cutting the hair into their natural bundles or groups (either 1 hair, two hairs or three hairs) was the most natural way to place these back in the head. These are now known as follicular units. With special blades that I developed, I took these follicular units or bundles and placed them back in the scalp which presented a more natural appearance. It is only recently that other hair transplant doctors started using the term “follicular unit” and started taking credit for something that I have done since 1990. So whether you call them “follicular units,” or “grafts,” it is imperative to actually see the work before you commit to the hair transplant procedure. In this way, you can understand what the doctor is actually doing in your hair transplant. I am the only doctor who actually shows you a hair transplant surgery at the time of your consultation. In this way you can see the follicular units/grafts and how they are placed. BE CAREFUL! If doctors will not show you an actual surgical procedure during your consultation, they may not be doing as many surgeries as claimed. Doctors can state anything they want about their techniques, such as the latest claim of “ultra refined follicular units” (this is really just the dissection of the follicular units into their natural individual bundles). Every year I see such new marketing techniques used. Unfortunately, many doctors don’t spend much time developing their skills and then make claims to a “new” technique that I have developed and refined during the past twenty years. Dr. Shapiro is a dermatologist and hair transplantation specialist with hair transplant clinics in the Miami, Boca Raton and Ft. Lauderdale areas of south Florida. 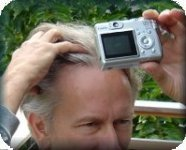 This entry was posted in Baldness, Hair Damage, Hair Loss, Hair Transplant, Hair Transplants on March 22, 2011 by Larry Shapiro.